It’s hard to keep pace with digital technology – new apps and strategies emerge almost daily it seems! And each one offers new business benefits and opportunities for those who embrace them. 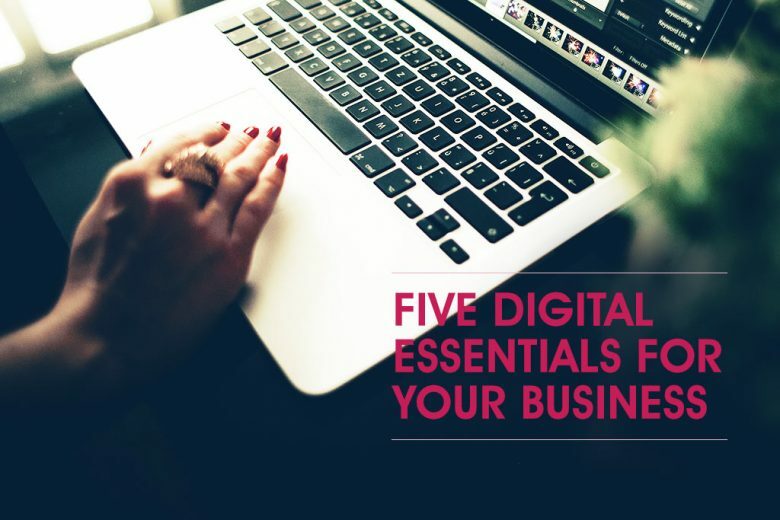 To help you maximise the business potential of modern technology, university student Jacob McHutcherson picks his five digital essentials for businesses today. In my first year of university, I have picked up plenty of invaluable skills. But those I have learnt on the module ‘Digital Essentials’ have probably been the most beneficial – and I hope you find them helpful too. Infographics are often used to display data in the most visually appealing and shareable way. They are overlooked and underestimated by many businesses, but can be extremely useful. Great infographics are very creative and can feature still images or be interactive, such as Washington Post’s infographic about Mount Everest. It cleverly allows the user to interact and ‘climb’ Mount Everest, as well as showing information related to the climb. Infographics can also be very simple. 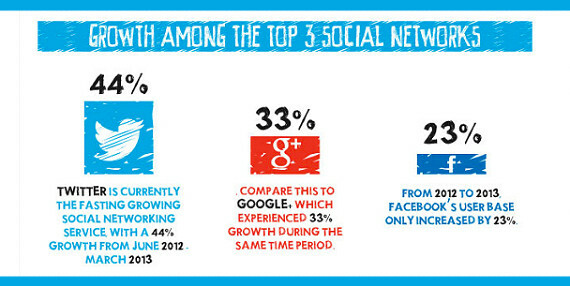 Below is an example of a basic infographic on the growth among the top three social networks, by Kimberlee Morrison of the Social Times. If you want to present information to your clients – whether you want to show off your business growth or compare products – in a unique way and stand out among your competition, consider putting it into an infographic. Just make sure you do it in a creative and visual way, ensuring the raw data is still there, just like this infographic by Quill.com. Pay per click advertising (PPC) can be a powerful and cost-effective way to grow your business and spread the word about what you do. Many business owners don’t understand how to use PPC in the best way, wasting money on ads that are appealing to the wrong audience (for example by paying for ads using keywords like ‘men’s clothes’, when in fact they are selling men’s leisure clothes). Even if these poorly targeted ads do attract traffic to your site, if potential customers don’t find what they’re looking for they’ll leave straight away – meaning you would have paid Google for that traffic unnecessarily. This is why it’s vital that you’re not vague in the words you choose; they need to be very specific. By being very exact (for example by using ‘men’s leisure clothes’) you’ll attract appropriate traffic to your site. You’ll save money and attract the right customers – and remember it’s all about them! How PPC works in terms of sending traffic to your site is quite simple. You bid on keywords and ensure that when people search for these words your website appears in the ad results (as many as 36% of people don’t realise these are ads). If you don’t fancy paying for search results, you can work at getting your business to the top of Google search pages with a strong SEO strategy (you can learn how to write SEO copy for your website here). Web analytics are overlooked by many businesses who aren’t aware of the very real benefits they offer. There are many different online analytics – both free and paid for – to choose from, but Google Analytics is popular with many businesses. The volume of traffic that’s coming to your site. Where people are looking on your website. What pages people leave your site from. How to measure your sales. What’s driving traffic to your site (for example, a tweet or promotion). So if, for example, you tweet about the launch of a new product, or a link to a newly-published article, you can use Google Analytics to see if that tweet is working, or how many people are on your site in general, in comparison to the traffic generated form the tweet. You can also track your customers’ movements and see where they exit your site from. If most leave on a certain page, then you can try to work out why, and change it to see if you can improve your statistics. Without analytics, this sort of monitoring wouldn’t be available. You wouldn’t be able to spot where your strategy is working (so you can do more of it) and where it’s not delivering as well (so you can experiment with new ideas) to maximise your business potential. Over the past 10 years, social media has grown hugely and many businesses today recognise its potential. Three of the main social media outlets are Twitter, Facebook and Instagram, with a combined total of over 1.5 billion users – and are a perfect opportunity to attract customers, boost sales and find out what customers think and want. I think of Twitter and Instagram as a live feed version of Trip Advisor. Why? Because a simple search of, for example, “PlayStation 4”, allows a customer (or Sony) to see what people are saying about the product. Social media is a perfect outlet for opinions, and good and bad news can quickly become viral, potentially reaching an audience of over 400 million people. So it’s important to keep track of what is being said about your business or products, and also ensure that you present a professional front at all times. And the best thing about social media for small businesses is that, other than time, it’s free to use. All you need to do is set up an account then tweet and post away. You can connect with customers, answer questions, monitor people’s perceptions of a product or company, see what your competitors are doing, and advertise yourself. Customers love blogs. They see them as hubs of information – central places they can go to for access to the information they need. You can use blogs in one of two ways: for advertising, or to learn from others in business, and improve your own. Popular business blogs like this one from Felix Wetzel’s (featuring articles on personal experiences from Jobsites Marketing Director Felix Wetzel), and The Small Business Blog (written by a selection of experienced businessmen and women designed specifically for small businesses), give you instant, practical doses of invaluable business insight on niche issues for free. If you’re looking for specific advice on topics such as the differences between B2B and B2C, then you can read advice and opinions by experts and businesses, and use your new knowledge to grow your own business and knowledge. Blogs also represent a valuable business opportunity. Choose one with the right readership and you can sponsor a post, use affiliate marketing links or place banner ads on the blog to drive high value traffic to your own website. I hope you found my article helpful – and are fully and confidently embracing the opportunities today’s business world offers for your business.